LG’s entrance in the phablet (phone/tablet) space is now official. 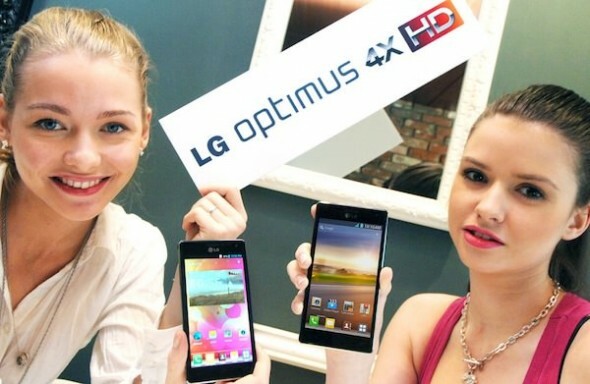 The LG Optimus Vu has been announced today on the company’s Korean website. 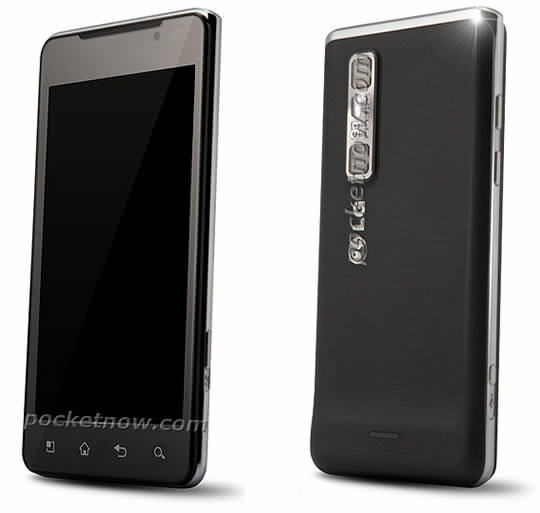 The stocky 5-inch device has a unique 4:3 aspect ratio with a 1024×768 display resolution. 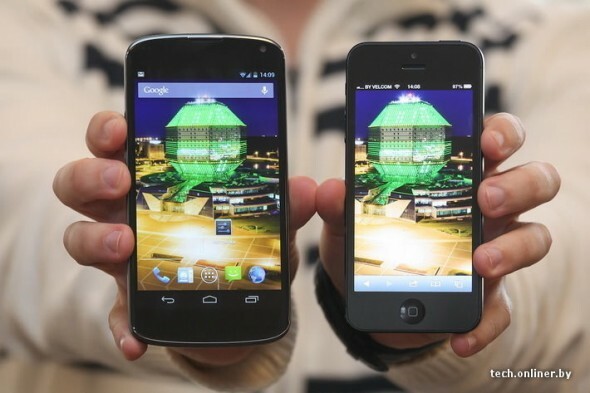 The Optimus Vu goes head-on against Samsung’s 5.3-inch 16:9 aspect ratio 1280×800 resolution Galaxy Note. 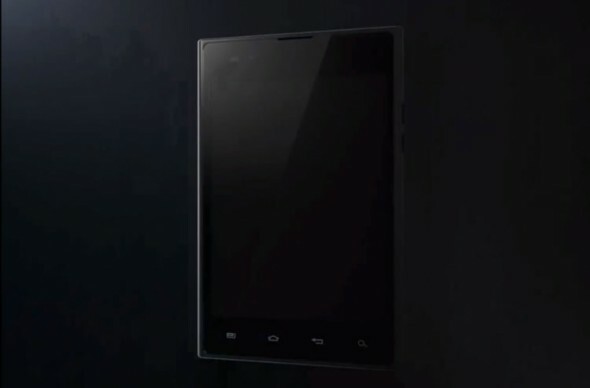 The Optimus Vu runs on a 1.5GHz dual-core Qualcomm SoC and has an 8-megapixel rear camera, 32GB of built-in storage and support for LTE connectivity. Similar to the Galaxy Nexus, it’s also boasting stylus support for taking notes, annotating images and documents and drawing. It will be running Android 2.3 Gingerbread on release in early March but LG is promising an Ice Cream Sandwich update within 3 months. Although Dell was first to test the waters with a 5-inch smartphone/tablet (or phablet or tabletphone), the Streak 5 met very lukewarm response and has been defunct since last summer. Yet Samsung’s 5.3-inch stylus-friendly Galaxy Note smartphone has been quite a success. Not to be outdone by its fellow Korean competitor, LG is getting its own oversized device ready and has posted a teaser video of the Optimus Vu, a 5-inch smartphone with an old-school 4:3 aspect ratio IPS display and a 1024 x 768 resolution. The 4:3 ratio gives the Optimus Vu a more stocky profile, compared to the Samsung Galaxy Note’s 16:9 1280 x 800 screen, though it would be better suited for certain taks like web browsing or reading books in portrait mode. You can see a side-by-side comparison of the two below. 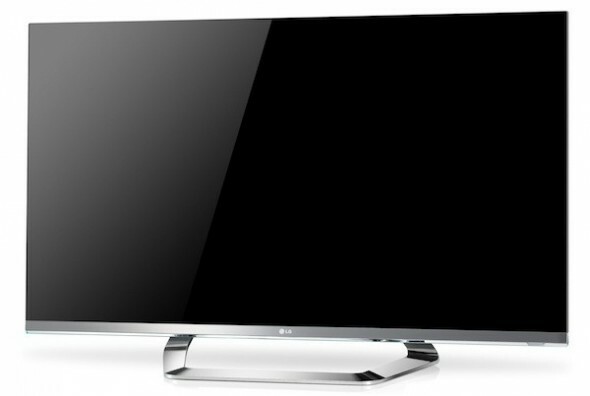 LG has mastered a great line-up for 2012. 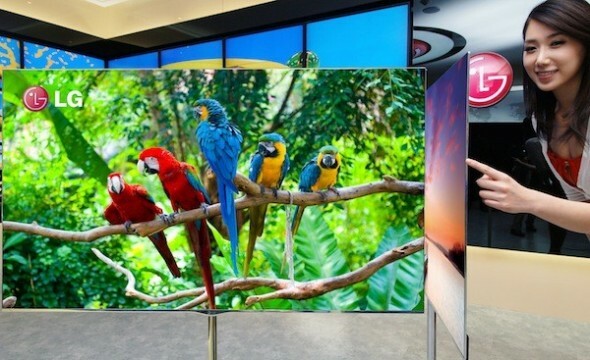 First you have the humongous 84-inch Ultra Definition QFHD 3D TV, then the world’s largest 55-inch OLED TV with 4-color technology and now it has managed to reduce the bezel on its Cinema 3D TVs to virtually nothing, titled ‘Cinema Screen’ design. We can’t express how happy we are that bezels are finally on a losing streak. 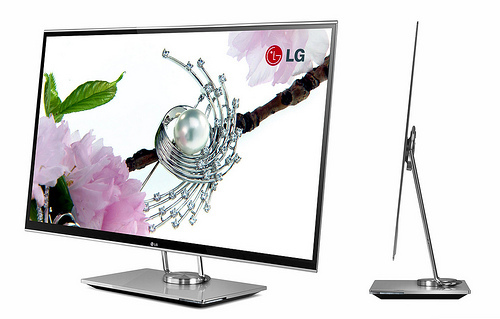 The new Cinema Screen 3D TVs with just 1mm top and side bezel have other tricks up their sleeve us well. First you have Dual Play, whereby two game players can see entirely different full images, as opposed to a traditional split screen — something we already saw in the Vizio Versus and the Sony Playstation 3D display. Then you have 3D Sound Zooming, which claims to synchronize audio with the location of various on-screen objects. Manufacturers just love to shout largest, and LG is certainly in a record breaking mood today. 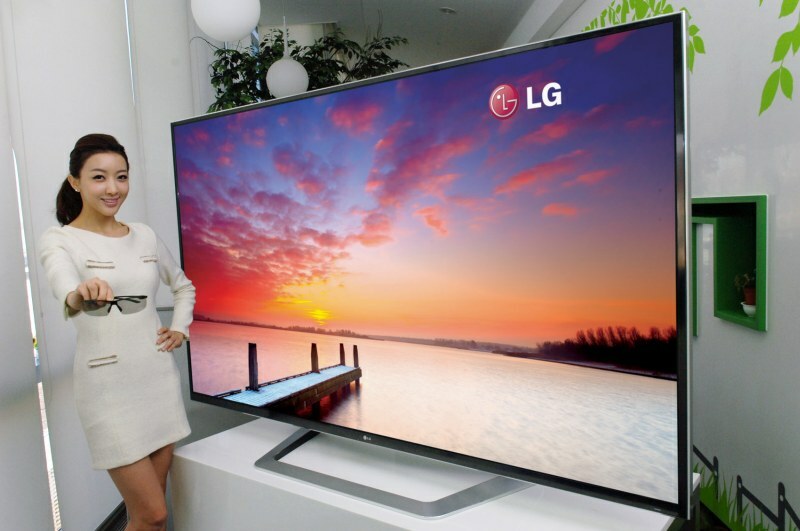 LG Electronics has just unveiled the world’s largest 3D Ultra Definition (UD) TV. 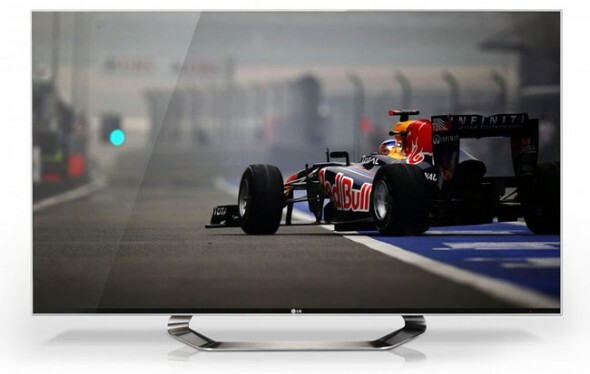 By Ultra Definition the company suggests a Quad Full High Definition (QFHD) resolution of 3840 x 2160 pixels, which doubles the number of pixels of 1080p on each axis. That’s equivalent to four 1080p TVs stuck together, though not up to a full 4K resolution (which would mean at least 4,000 pixels on the horizontal axis). The 84-inch behemoth is promising an immersive 3D experience, which we are inclined to believe, and something that LG will be happy to demonstrate at CES 2012 in Las Vegas. The TV will have access to LG’s Smart TV ecosystem with over 1,200 apps and some video content. It’s also set to come with a new Magic Remote with voice recognition and magic gestures. 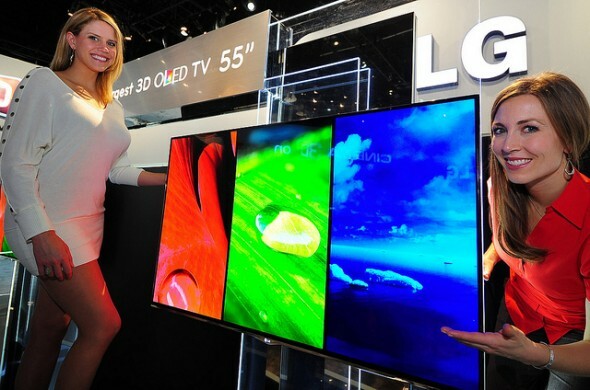 Well, there’s only two weeks left to CES 2012 where we will know more.